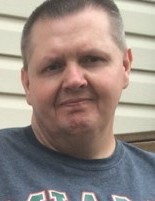 James (Jamie) Taylor, 53 of Jamestown, OH, left this earth unexpectedly June 30th, 2018. Jamie was a great son, brother, uncle and friend to the many people that knew him. He spent his life taking care of his mother and others. Jamie will truly be missed by all that knew him. Jamie will be remembered for his funny personality, spirited demeanor and realistic ways of talking about life. James is preceded in death by his father, James Taylor and sisters Julie Lumpkins and Mary Jo Sanders. Verona Atkinson, Sue Ann (Rusty) Green and Janice Taylor. He is also survived by several nieces and nephews, Michael (Ashley) Marshall, Timothy (Paula) Marshall, Krystal (Tony) Rose, Dee Lamb, Jeffrey (Amanda) Cardwell, David (Jamie) Applegate, Randi (Steven) Eavers, Brian (Bri) Payton, Stacey Sanders, Ronnie Sanders, Jerome and Andrew Marshall, Beth (Bill) DuChesne and Kathy and Stephanie Green, as well as many other nieces and nephews in Kentucky. Jamie is also survived by many great nieces and nephews who will miss him dearly. Funeral service will be Thursday, July 5, 2018 at 1:00PM at Powers-Kell Funeral Home. Visitation will be from 11:00AM until time of service the same day. Jeff Cardwell will be officiating. Burial will be in North Cemetery, on St Rt 72N in Cedarville, Ohio. In Lieu of flowers donation may be made to the Jamestown Families Cancer Care, P.O. Box 35, Jamestown, Ohio 45335.